brimal2013 has no other items for sale. 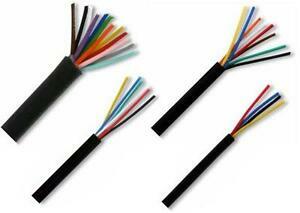 Details about Multicore Cable 7/0.22 Small Power or Data Cable,in 4, 6, 8,12, 18, & 25 cores. Multicore Cable 7/0.22 Small Power or Data Cable,in 4, 6, 8,12, 18, & 25 cores. There are 2,754 items available. Please enter a number less than or equal to 2,754.